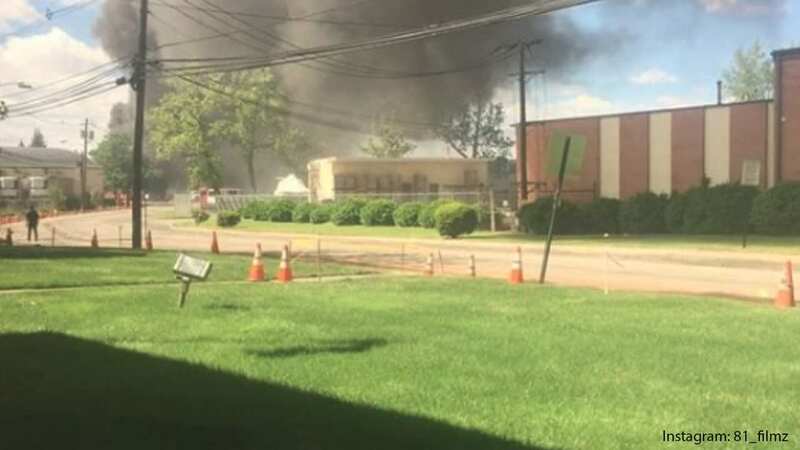 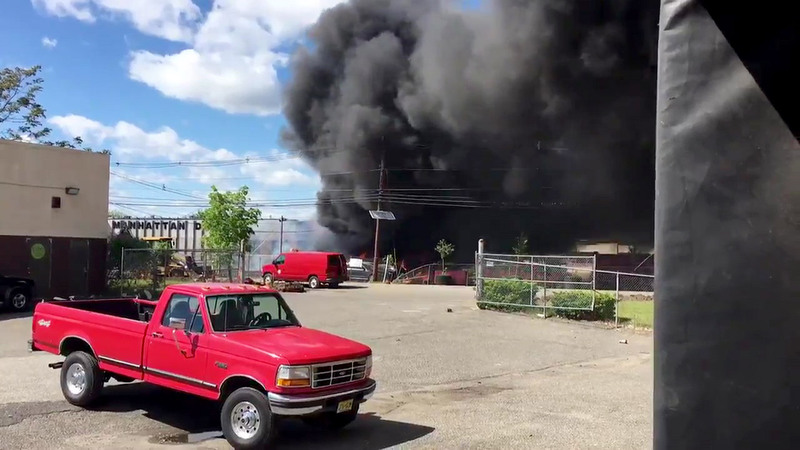 CARLSTADT, New Jersey (WABC) -- Cameras captured the fiery scene of a small plane crash moments after it happened in New Jersey Monday. 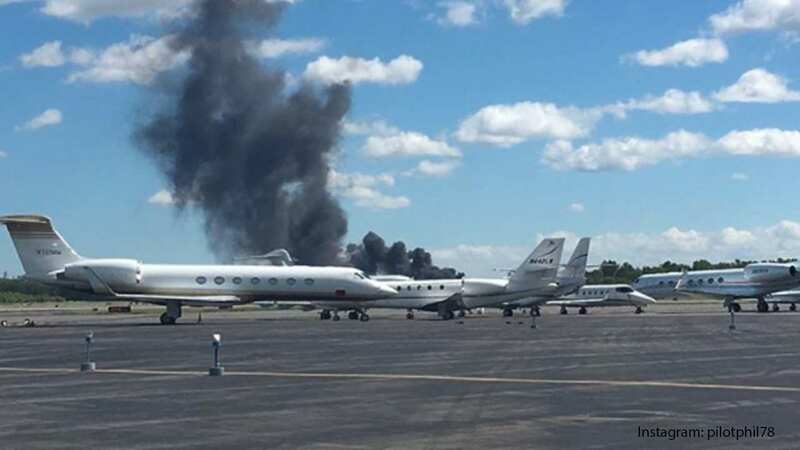 Two people aboard the plane died in the crash. 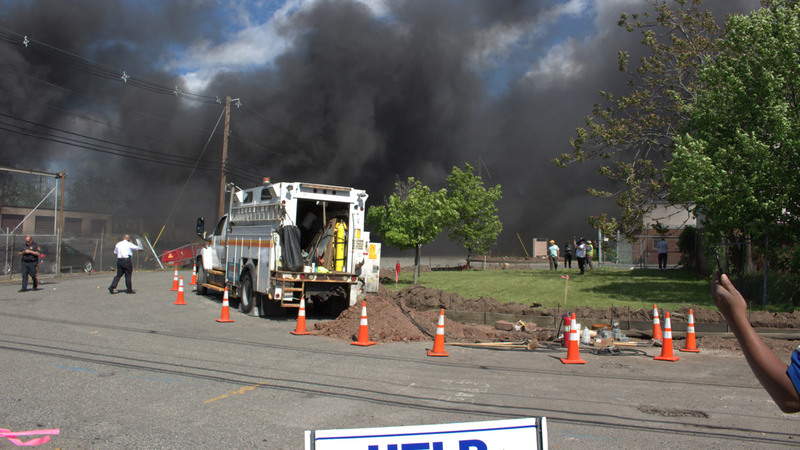 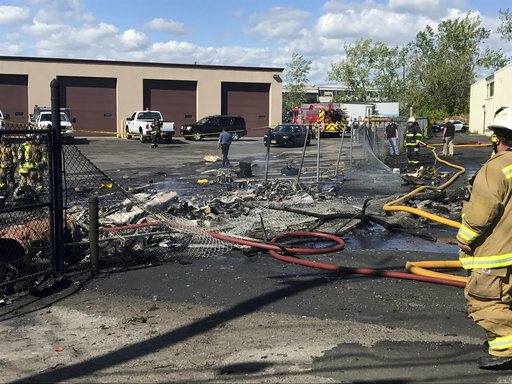 The plane hit the ground about 1/4 mile from where it was supposed to land at Teterboro Airport. 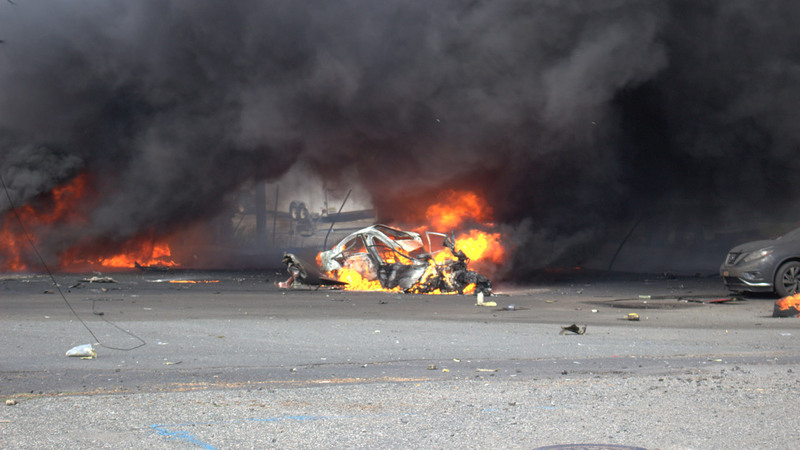 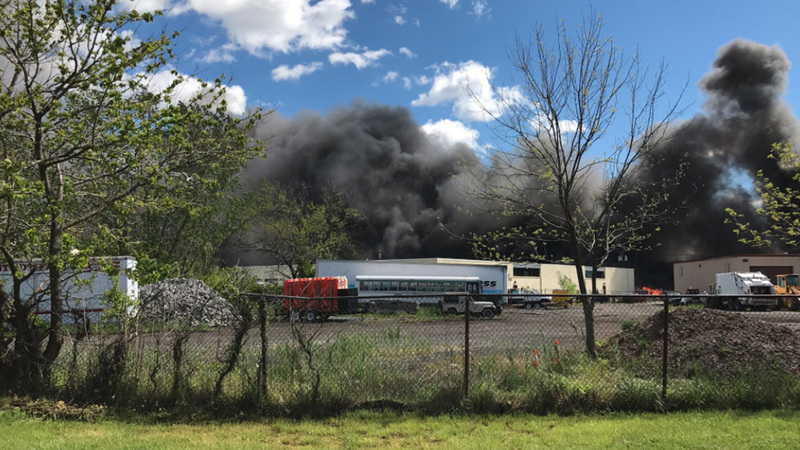 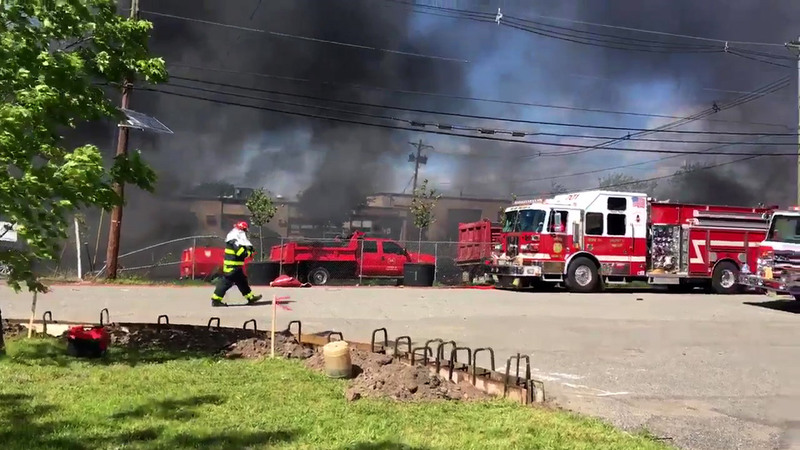 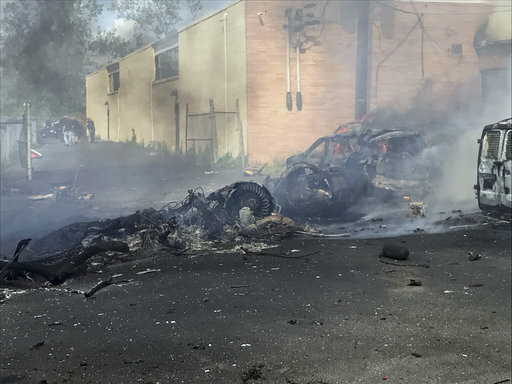 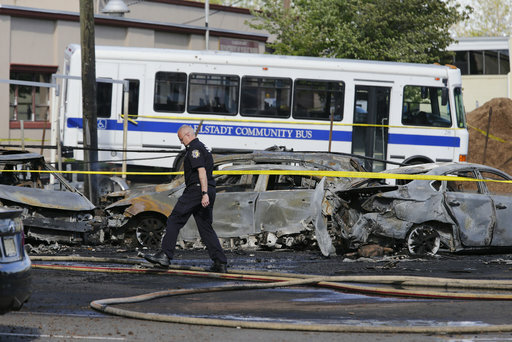 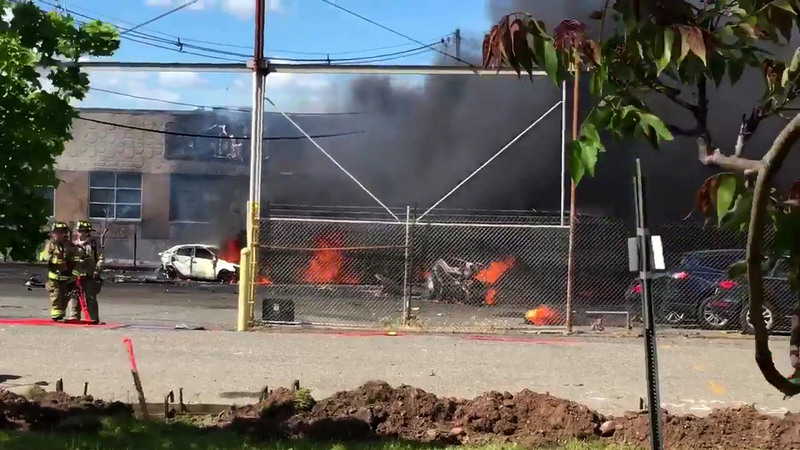 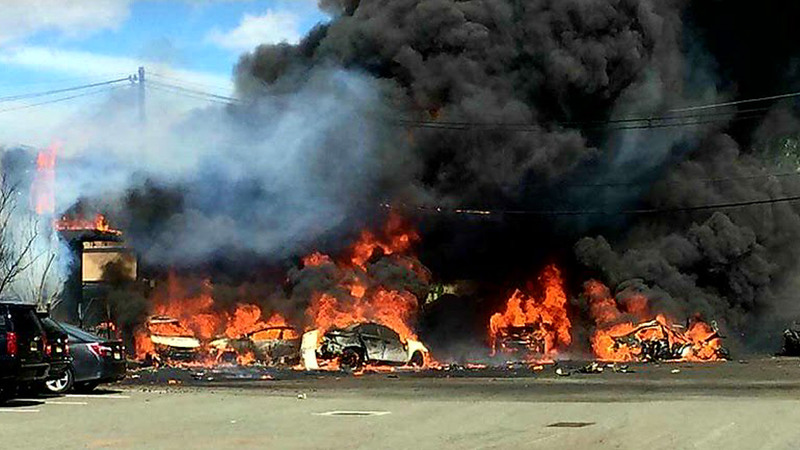 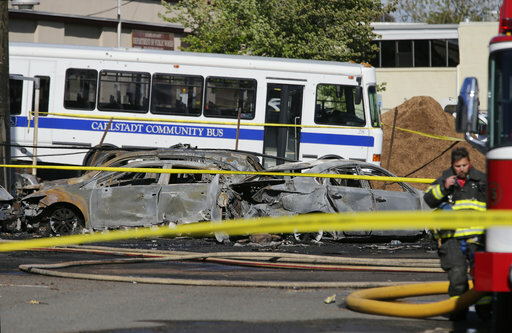 See raw video from Jeff Williams showing a fiery scene after a small plane crashed in Carlstadt, New Jersey. 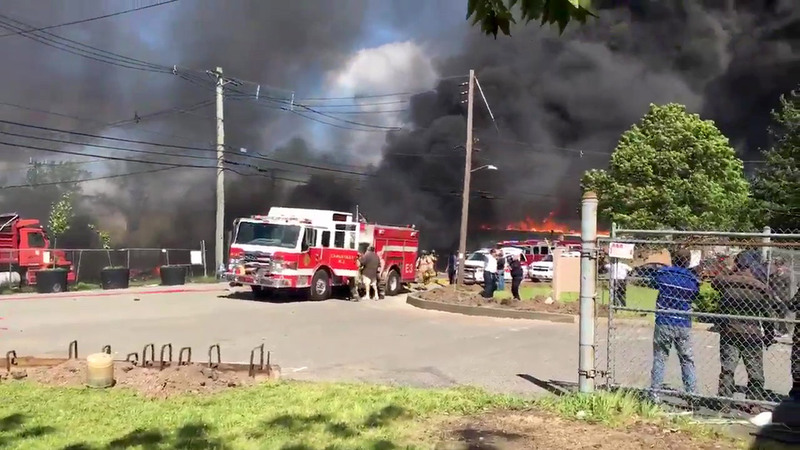 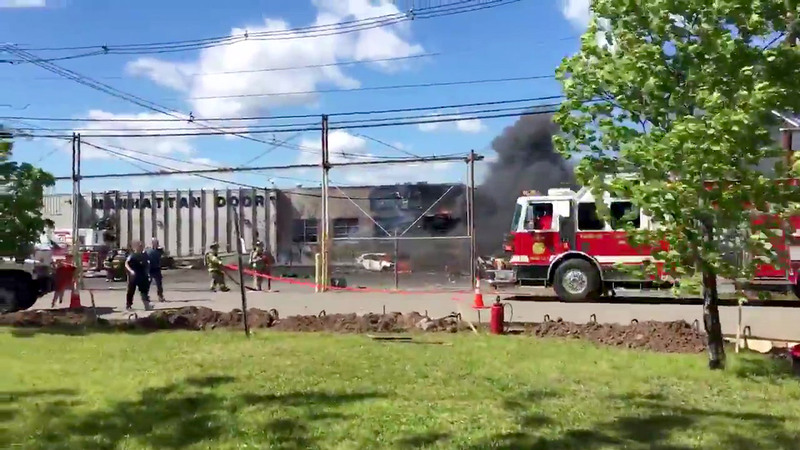 Raw video shows buildings on fire after a small plane crashed before landing in New Jersey. 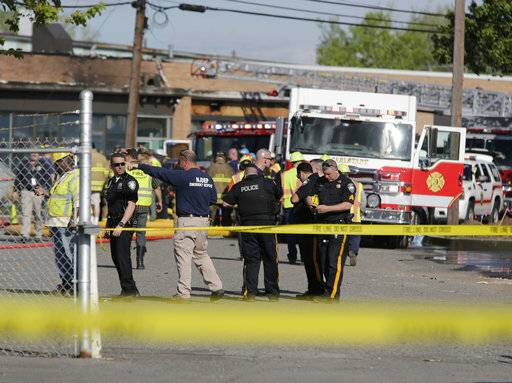 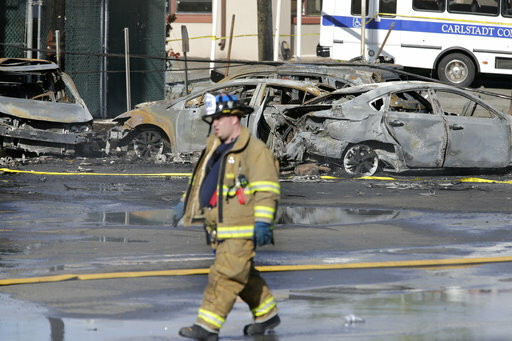 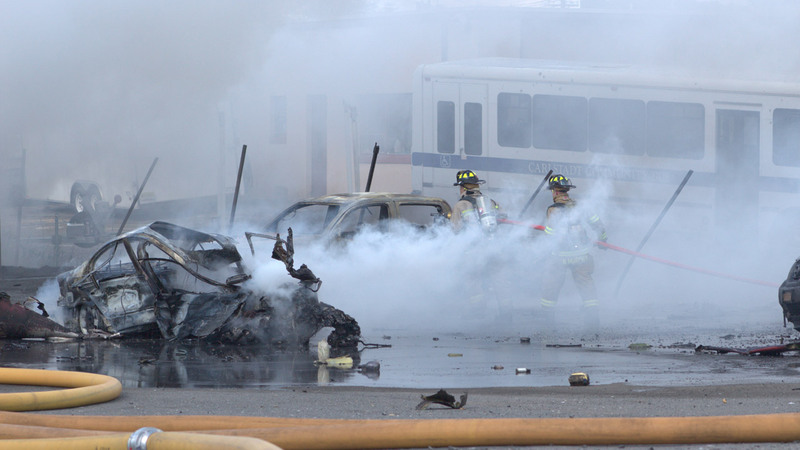 Click here for the latest information about the deadly plane crash.